A second suspect wanted in an October homicide in San Jose was arrested Thursday in Gilroy, police said. 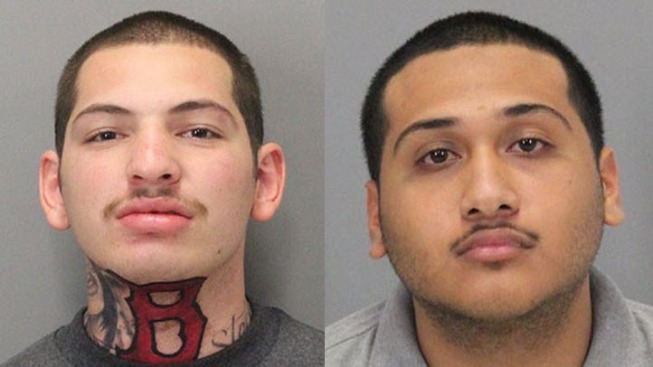 Fabian Rodriguez, 20, of San Jose was arrested on suspicion of killing 21-year-old San Jose resident Lucas Gutierrez in the early morning hours of Oct. 18 in the 300 block of Branham Lane East. Police arrived on the scene just after midnight and found Gutierrez suffering from at least one stab wound. He was taken to a hospital where he died. Already in custody is 20-year-old San Jose resident Deven Bargas. Police said U.S. Customs and Border Patrol officers arrested Bargas at the U.S.-Mexico border nine days after the slaying. Bargas was booked into the San Diego County Jail and was going to be transported to San Jose and booked into the Santa Clara County Jail.